Joshua Sharf to Run Against Pseudo Republican Arafat Lover for 6th District Nomination……! – The Tundra Tabloids……. 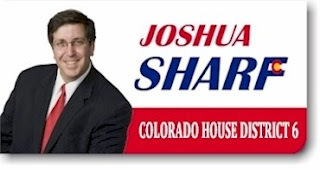 Joshua Sharf to Run Against Pseudo Republican Arafat Lover for 6th District Nomination……! Joshua Sharf contacted the Tundra Tabloids and asked to be linked! The TT is more than happy to oblige this true Republican candidate any day of the week. The reason for Sharf”s contacting the TT, is that he read the post about the “Arab (supposedly) Republican who truly hates Israel….but loved to love Ol’ Stinky, Yasser Arafat, the father of international terrorism”. What is in question here, is RBS’s anti-western ideology shining through all the mist and fog surrounding her candidacy for elected office. You can’t possibly adhere to the principles she claims to represent, all the while defending a real monster and murderer like Yasser Arafat and the despotic, tyrannical regimes he represented. If Rima Barakat-Sinclair was a true defender of upholding the Constitution, defending individual freedom, promoting small government, enacting prudent tax and spending policies, she wouldn’t have gone “weak in the knees” over a proven thug, dictator that impoverished his own people in the pursuit of destroying a democratic state. I’m sure that there are Muslims who do get what the Republican party stands for, that support democracy, and don’t feel that they have to hate Jews or Israel to fulfill their religious duties. Joshua Sharf has absolutely no problem at all in finding Muslims who support Israel, and they are ready and willing to support his candidacy. Previous Post Previous Post Daniel Pipes Visits Helsinki Finland……. Next Post Next Post EU Commissioner Refuses to Take NO For an Answer…….